The Airbus A300F also known as A300-600F or A300B4-200 is derived from the successful A300-600 short- to medium-range airliner which started operations in 1994. It has originated from France, Germany, and united Kingdom. It can transfer up to 51-ton of cargo (containers and/or pallets) over more than 4,800 km. 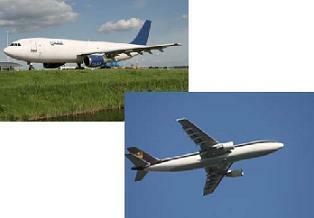 The variants of the aircraft are A300B2/B4 Freighter, A300B4 Long range version, A300C4 Convertible version.